A Microsoft executive said that the Xbox 360 was designed for the long haul and does not need to be replaced anytime soon. 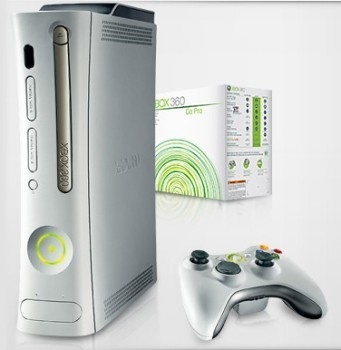 The Xbox 360 was released on November 22, 2005 in North America. Despite the console being over four years old, however, David Hufford, senior director of Xbox product management, said that Microsoft has no plans to replace it any time soon. "I think it's important to say that the Xbox 360 is the console of the long future for us. There is no need to launch a new console, because we're able to give this console new life either with software upgrades or hardware upgrades like Project Natal," Hufford said at the Consumer Electronics Sshow in Las Vegas last weekend. "The Xbox 360 was designed for a long life and I don't even know if we're at the midpoint yet," he continued. He also seems to believe that, despite new cheaper chip technology, the price of the console isn't going down either. "We love our prices right now," he said. "I don't want to say that technology stops, but we believe we have a high quality console, and we stand by that quality with an unprecedented warranty, so we think we're in a good place now heading into the Natal era." What do you think? Is Microsoft betting too much on Natal to keep its console fresh? Is all of this a big lie and they're actually going to be rolling out the Xbox 666 in 2011?